Washington : A new Scientific Statement issued by the Endocrine Society advises healthcare providers on ways to spot hormonal causes of high blood pressure that can be cured with surgery or treated effectively with medication. Hypertension can be the first sign of any of 15 endocrine disorders. The endocrine system produces and controls hormones the chemical messengers that govern growth, reproduction, metabolism, breathing and other essential bodily functions. Potential causes of high blood pressure can include tumors that produce adrenal hormones such as aldosterone and adrenaline, thyroid disorders, obstructive sleep apnea, or acromegaly, a rare condition where excess growth hormone builds up in the bloodstream. The Scientific Statement delves into the number of people affected by the 15 endocrine disorders and the screening process for these disorders. 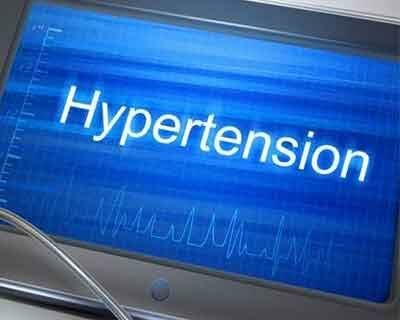 The most common endocrine cause of high blood pressure is primary aldosteronism. Primary aldosteronism occurs when the adrenal glands—the small glands located on the top of each kidney produce too much of the hormone aldosterone. This causes a build-up of aldosterone, which normally balances blood levels of sodium and potassium. The resulting excess sodium can raise blood pressure levels. What about perimenopausal hormonal changes & hypertension ? Any link with aldesteron?